Forging, a metal shaping technique using compressive, localized forces, has been a staple metal fabrication technique with a long history. Since its origins thousands of years ago, forgings has experienced significant changes, resulting in a more efficient, faster and more durable process. This is why today, forging is most commonly performed for a variety of metal components for different industries, such as agriculture, military, mining & construction, ect. The forging process uses high pressure and temperature to change the non-directional, or one-directional grain structure of the billet, into the high integrity multi-directional grain structure of forgings. The billet remains solid throughout the process as the forging dies come together and changes the shape of the starting stock. The resulting directional orientation of the grain structure places the highest material strength in the same direction as the highest operating loads, so products after forging will have perfect strength and working performance. We all known that there are lots of advantages of forging, especially when it comes to advantages of forging over other processes, it is more obvious. Below we will talk about how forging compares with other common manufacturing methods: Casting and Machining from Bars. Forgings are stronger. A casting cannot obtain the strengthening effects that are produced in steel by hot forging. The strength of a Forging surpasses that of a casting in all predictable strength properties. Forging refines grain structure. A casting has neither grain flow nor directional strength and the process cannot prevent formation of certain metallurgical defects. The hot working of forge stock produces a grain flow oriented in the directions that require maximum strength. Dendritic structures, alloy segregation’s and other casting imperfections are refined in forging. Forgings are more reliable, less costly. Because hot forging refines grain pattern and imparts high strength, ductility and resistance properties, forged products perform more reliably and are more durable. As a result of their increased reliability and durability, their overall cost is often much less than a casting. Forgings have grain oriented to shape for greater strength. Machined bar and plate may be more susceptible to fatigue and stress corrosion because the machining process often cuts across the materials natural grain pattern. A well designed forging will yields a grain structure that is oriented to the part shape, resulting in optimum strength, ductility and resistance to impact and fatigue. Forgings yield lower scrap; greater, more cost-effective production. Forgings, especially near-net shapes, make better use of material and generate little scrap. In high-volume production runs, forgings have the decisive cost advantage. Redesign Service. As part of our customers are not so familar with forging, so when we receive their designed drawings, we find the design is not feasible for forging, our engineering team will redesign the part combining our forging technology. Another suitation is that the customer is not able to draw the product in CAD, but hand printed, no tolerance, just some main dimensions, in this case, we will also provide a professional technical drawing with general forging tolerance marked. Tool & Die developing. A pair of quality forging dies is the precondition for producing high quality forgings. One of our obvious advantages is that we have our own tool & die workshop, all the forging dies are designed and made in our own company. Closed die Forging. The forging process in our company is closed die forging, so our company is committed to producing small steel forgings and aluminum forgings. With forging press ranging from 300 tons to 2500 tons, we are able to supply forgings between 0.2kg-50kg. Rough Machining. Sometimes, forging can not meet final dimensions or tolerances of finished parts. In this case, we will leave some tolerance when forging, and do rough machining after that. Such machining operations will provide our customers more precision parts. Heat Treatment. To improve the properties of products, such as hardness, heat treatment will be carried out after forging. Our company can provide any heat treatment service as requested. Surface Finish. We can provide surface finish service such as painting, zinc plating, ect. Non Destructive Testing. For critical forgings, we will do NDT before delivery, thus to ensure the quality of products. Custom Package. Any custom service for package can be provided, just give us the desired package information. Were you able to find a good source for forging? You may find out there are very few Chinese manufacturers that could satisfy your companies' needs. We are a Chinese company with our own tooling & forging factory in Ningbo China. We build very precise and high quality forgings exclusively for demanding US, Canada, UK, Germany, Italy and more companies. We have very advanced equipments in house. Our forging engineers are good at English and forging technologies, so our company is easy to communicate with. 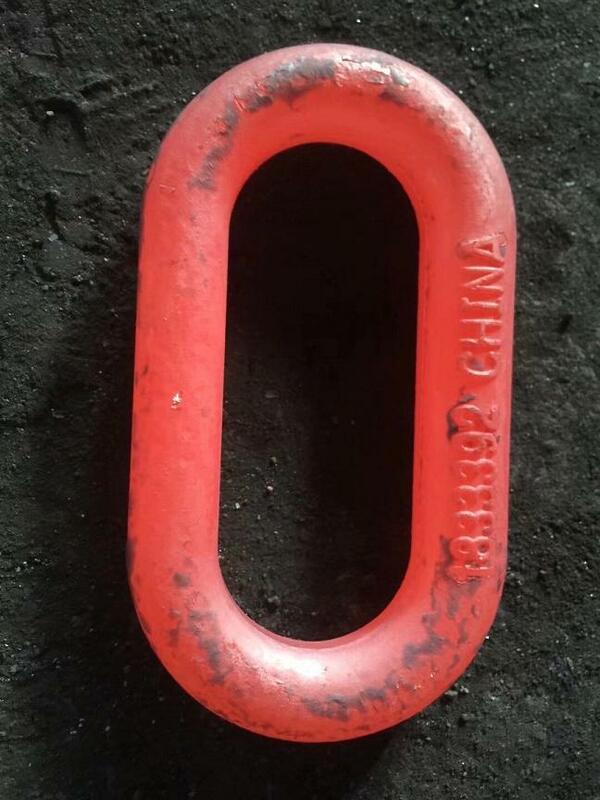 Feel free to contact us if you are finding a forging supplier in China. We are a unique hybrid solution of dealing with an American companies but getting better Chinese prices. We will be glad to review your specifications and share them with our forging makers as well for their input. We work on a cost plus basis, we will give a very honest quotation to build what exactly you are expecting. We have a reputation for making only top quality forgings and we stand behind our work. We think you will really like working with our company. Although sourcing forgings to Chinese companies directly can be risky and difficult to manage without experience, there are many variables. Sourcing through our company will be able to reduce your cost of forgings up to 50% compared to the USA, and lower down the risk of other Chinese forging companies. Another advantage to consider using our company as a source is we accept full responsibility for all forging production and provide above average terms. We have helped our clients to work their innovation ideas out with our full experience in forging. The most important difference between the price of USA and China is the China price is much lower than USA price. That is why Apple Inc assembles their iPhone series in China. Anyway, your choice should be based on the requirement of your product and your company's budget. Right price is from the right manufacturer. Sending your drawings or pictures to us? Then we can evaluate your project and give you our professional suggestions.